Weâ€™ve said it once and weâ€™ll say it again: steam is magical. But steam has many more interesting applications than just cooking purely with water vapor. Most notably? Steam-baking. What is steam-baking? Itâ€™s simultaneously steaming AND baking, or just baking in a moist oven environment. This is one of the coolest cooking methods out there, and this particular combination benefits pretty much everything in your diet, even desserts. But more on that later. Why is wet heat so cool? â€” Food cooked faster. The water molecules in steam conduct heat better than air, cooking your food more quickly. Itâ€™s why a humid 90-degree day feels hotter than a 90-degree day without humidity. â€” Juicier and more tender proteins. Weâ€™re talking better fish, better chicken, and even better tofu. Steam keeps the inside of proteins nice and juicy, giving you the opportunity to get a nice, crispy outside without drying out the whole thing. â€” Rejuvenated leftovers. Reheating food by baking it tends to really try it out, but when you reheat food by baking AND steaming it, you return some of its original moisture to it. Itâ€™s awesome to eat a reheated chicken breast thatâ€™s actually juicy! â€” High-quality toast. Steam helps your toast retain a little inner softness. Instead of just sucking all the water out of the starch molecules that make up your bread, youâ€™re actually adding water back into themâ€”but not too much so you can still get that crisp exterior. This also helps you rejuvenate stale toast! â€” Better baked goods. For bread, for example, steam is the key to getting truly crisp crust and a lovely, light interior (or â€œcrumbâ€�). When you bake bread in a moist environment, water vapor will cling to its surface, slowing down the process of drying out the top of the dough and forming a crust. Your bread will then have a better dome because the dough was allowed to grow upwards for longer, and your crust will be crisp and NOT burnt. We hope reading this post helped you appreciate steam as much as we do. And even if you canâ€™t reach quite our level of steam enthusiasm, we hope it helped you learn something new. 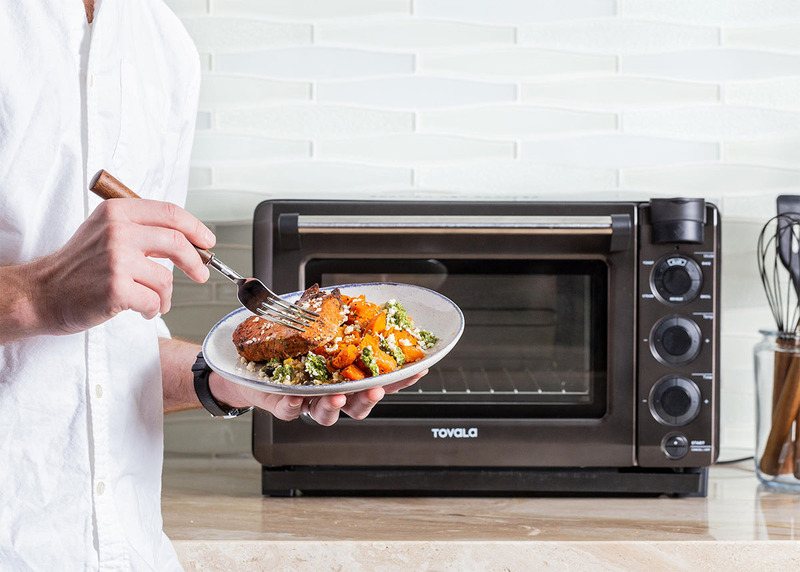 Learn more about the Tovala Steam Oven and its steam-baking capabilities.